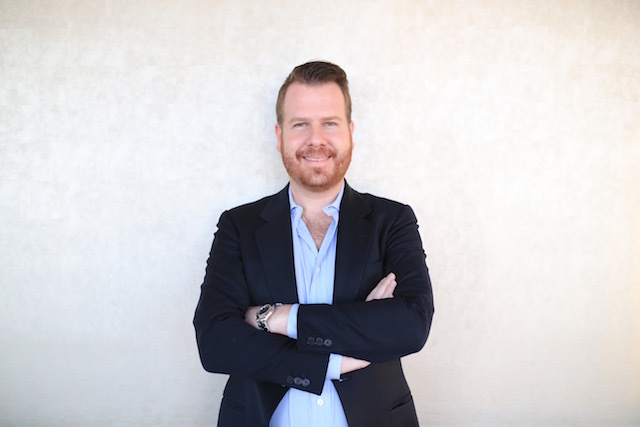 YIMBY sat down with developer Sam Charney, who recently departed from Two Trees to pursue his own slate of projects in Long Island City, heading Charney Construction and Development. Drawing from his positive working relationship with David and Jed Walentas, Charney’s own ambitions include a new 70,000 square foot project near MoMA’s PS1, with plans for two additional condo buildings on the near horizon. I would imagine developing a project on your own has its positives and negatives, but the scope is smaller than what you typically worked on at Two Trees; what are some of the biggest changes you’ve dealt with since striking out on your own? That’s correct; my typical projects at Two Trees were over 100,000 square feet square feet and averaged over one hundred units. My current project at 11-51 47th Avenue in Long Island City is 70,000 square feet with 54 condominiums, ground-floor retail, and 21 parking spaces. There are definitely positives and negatives about being out on my own, but one of the greatest advantages so far has been working with my partner Ascent Development — the principals and I did our Master’s at NYU together so we’ve already been friends for ten years. There have certainly been some trying times taking a friendship to the business partner level, but I have always been a big believer in a ‘think tank’ atmosphere, and as long as we maintain a mutual respect for each other, I think we will always end up with the most productive outcome. The major disadvantage thus far has been not having the amazing support staff I had at Two Trees. I was able to cultivate an extremely talented team of individuals over the last five years, and they were invaluable in making our projects the tremendous successes that they were. 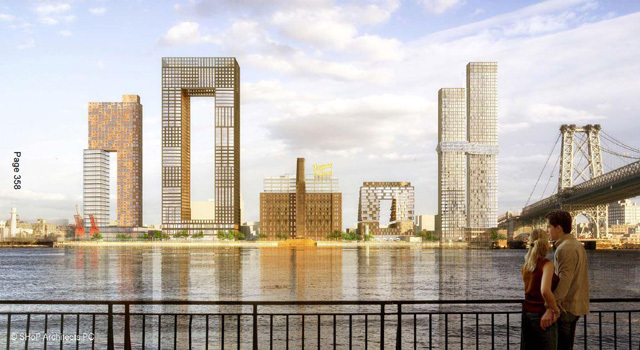 How will the building take the context of Jackson Avenue & Long Island City into account? PS1 is right around the corner, correct? Yes, PS1 / MOMA is our neighbor and with arguably the most recognizable architectural icon in Long Island City right next door, we felt a real responsibility to create something special that will expand upon what is an already architecturally significant corridor. It takes a lot of thought to create something that is both aesthetically fresh and interesting while at the same time being reverent to our handsome and historic neighbor. I think our architect has done a wonderful job of creating a design that recalls the industrial past of the neighborhood while modernizing that aesthetic. 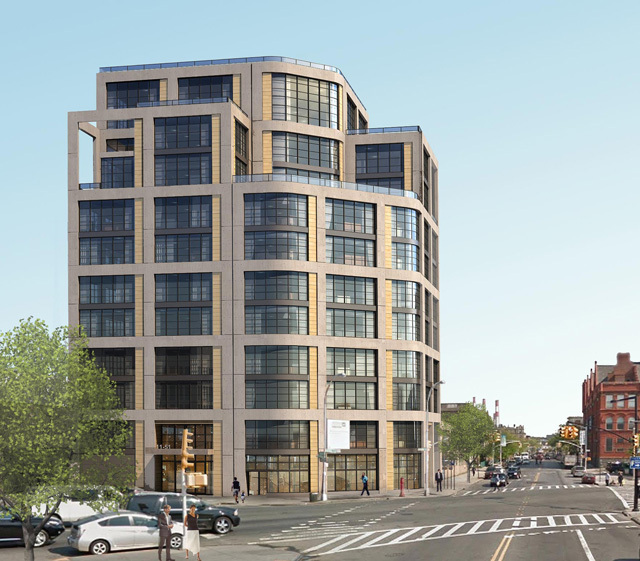 The fact that we are a corner lot with frontage on three streets presents this very special opportunity to create an architecturally noteworthy building to compliment PS1, and hopefully become its own icon on the Jackson Avenue corridor for years to come. Aesthetically, what are some of the project’s defining features — and what sets it apart from competing developments in the neighborhood? Who is the architect? Our architect is Fogarty Finger. The design partner we are working with, Chris Fogarty, has done a phenomenal job of articulating what we believe is the aesthetic people are looking for in today’s built world; the plan for 11-51 47th Avenue uses exposed raw materials and elements such as concrete, steel, and wood to evoke the industrial past of Long Island City, while also incorporating rounded glass walls and multi-paned windows to modernize the scheme. When Chris and I first sat down to discuss the project, he explained to me that if you asked today’s younger generation what their ideal apartment would look it, it would probably resemble a loft in Tribeca, Soho or the Meat Packing District; to that effect, the project will also have higher end appliances, fixtures and finishes than anything currently on the market in Long Island City. After witnessing and playing a role in the Brooklyn Avenue boom under David and Jed Walentas over the past decade, I have learned that by building a quality product with finer finishes than your competitors you always ensure that your product stands out. It’s the reason my past two rentals, 25 and 30 Washington Street, achieved the highest rents per square foot in all of DUMBO, surpassing $70/PSF. Who is the target audience of the LIC project? It seems like more families are moving to the neighborhood; do the apartments cater to that demographic? Yes. Our project is 25% one-bedrooms, 50% two-bedrooms, and 25% three-bedrooms. With 75% of our apartments being family-sized residences, we are definitely catering to the emerging ‘young family’ demographic in Long Island City. In the past, the neighborhood was viewed as a cheaper alternative to Manhattan for the young professionals who worked in midtown. Now, all of those young professionals have fallen in love with the neighborhood. They prefer the relative calm of the waterfront, the parks and open spaces, and the exceptional train access. Now that this same demographic is in their late twenties and early thirties, they are having children and thinking about transitioning from rental stock into home ownership and growing their equity. Simultaneously, the retailers have taken notice and have begun to emerge and cater to this demographic. The ‘locavore’ and artisanal restaurants and shops that have become synonymous with the Brooklyn brand have begun to move in in full force. The energy and excitement is evocative of what we saw in Williamsburg over the past ten years and it’s electrifying to be playing a small part in it once again. What are your thoughts on the City Planning fiasco at your alma mater’s project in Williamsburg; have you had to deal with anything similar at your LIC development? Thankfully I haven’t. Our project is as-of-right so we don’t need any special permits or approvals from the city. I think in regards to the Domino Sugar Project, the city had every right to ask for things that they believe will improve the quality of the built world for its residents; the job of politicians should be to improve the lives of their constituency. That being said, this was a tricky negotiation because Two Trees held an as-of-right plan that the previous developer, CPC, had already gotten approved by City Planning. I think David and Jed did a wonderful job of creating a much smarter and more thoughtful plan for the site which re-connected street grids, created more public parkland, and had an overall greater architectural interest and integrity. It was admirable that they took the risk of going back through ULURP to create something they believed would benefit not only them, but the surrounding neighborhood. In the end, I think it was a very successful negotiation; both parties walked away a little unsatisfied, but I am very happy that the scheme that will most benefit New Yorkers ended up prevailing. Where do you see Court Square/LIC heading in five years? Do you see the increase in supply as sufficient to meet demand, or is the neighborhood’s popularity surging quickly enough that it will see sustained increases in pricing? I think what’s happening in Western Queens right now is really special. Having spent my last ten or so years in Brooklyn, what I witnessed in regards to taste changing and people actually starting to prefer the borough over Manhattan was historically significant. I think now that Brooklyn is a preference, and prices reflect that, people are looking elsewhere. With land prices trading for roughly half of Williamsburg, and better transportation options, people are realizing the potential of the sleeping giant that is Long Island City. There is nowhere near enough condo stock in the neighborhood to meet demand, but I think developers are picking up on that, which is what’s driving land prices up. We certainly have picked up on it and it’s why we are in contract for two additional condo development sites at the moment. Everyday I’m out in Long Island City, I’m surprised by yet another innovative restaurant, bar or gallery opening on some side street. Additionally, since Queens is the most diverse of all the boroughs — if not the most diverse place in the United States — some really interesting culinary options are popping up and will continue to do so as restaurants in the more historically ethnic parts of the borough such as Flushing and Jackson Heights open outposts in LIC. I think in five years, Vernon Boulevard and Jackson Avenue will have culinary scenes that rival those of Bedford Avenue in Williamsburg and Smith Street in Cobble Hill/Carroll Gardens. Between the LIC waterfront and Court Square, which neighborhood do you think has the most potential? I think the area with the most potential is what I’d call Hunter’s Point East. The large rental towers on the water were the pioneers and created the required density that the retailers need. Vernon Boulevard is rapidly becoming a really exciting retail strip — in fact, I was talking with a broker earlier today who said it reminded her of San Francisco, because of the low-rise scale, and all the mom & pop stores and restaurants. I think that from Vernon to Jackson there are many pockets that will infill by 2020. Interestingly, Jackson runs from Hunter’s Point to Court Square — so as construction heats up in Court Square, the development pressure will come from both sides. This will result in Jackson becoming another major retail boulevard like Vernon. In this sense both sub-districts will help one another synthesize a powerhouse neighborhood, full of creative young professionals.